What's a "coatigan?" It is a coat and a cardigan combined and this one is wonderful! Perfect as winter winds down (wishful thinking,) this can take you through the spring. I was looking for something I could wear round the clock, day into the evening to take on an upcoming trip. 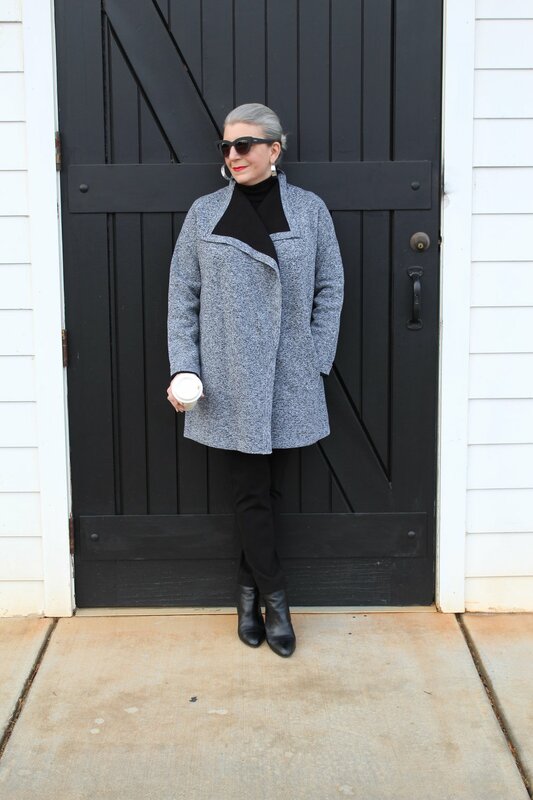 Since I only want to take one coat, this versatile find will work with so many outfits; to stretch my wardrobe. It comes in additional colors so be sure to check it out before it's gone. Love to share fab finds that are wardrobe staples. In fact, as much as I wear black and grey this compliments everything I own and will be part of my core "capsule" wardrobe!! Hope you are enjoying the week and if you were rooting for the Eagles... congratulations!! !